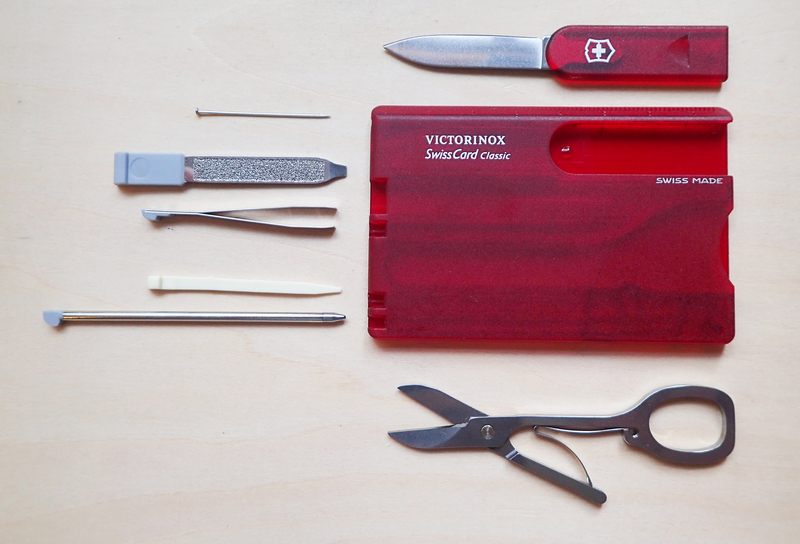 The Victorinox SwissCards are lightweight plastic ‘cards’ that contain a small range of tools. These can frequently be all that is required on a hike. 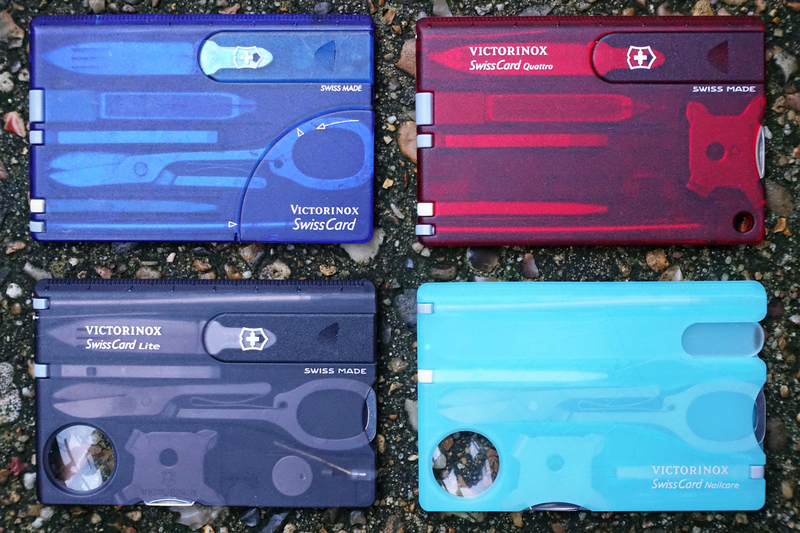 Three Points of the Compass has a few of these and takes a glance at four of the various cards released by Victorinox since they first appeared in 1997. These are the SwissCard (later SwissCard Classic), the SwissCard Quattro, the SwissCard Lite and SwissCard Nailcare. There have been different generations of these cards, particularly with the original SwissCard. Also, a couple of varieties, including a money clip, and car visor models that excluded the nailfile to fit respective clips instead. An oddity that I shall not cover here was the Doctor SwissCard that exchanged the tweezers for calipers. All of the SwissCards are small, measuring 82mm x 54m x 4mm. So, a little smaller than a credit card. The smaller dimensions are necessary if you want to slide one into a wallet or purse. I would suggest not storing them in the pocket as the plastic (actually ABS or Acrylnitril-Butadien-Styrol) will crack and break if overly stressed by flexing or being sat on. They will slip into just about any packs hipbelt pocket. Most hikers would probably glance at these little tools and discount them as they don’t immediately strike them as ‘knife’. 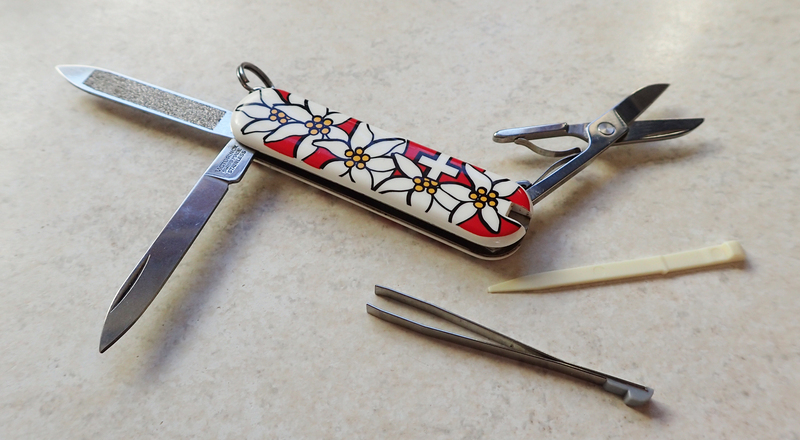 But the toolset in a SwissCard is very similar to that found on many of the the smaller knives, particularly the Signature, also produced by Victorinox. These tools are mostly of a size that makes them pretty convenient for life on trail. 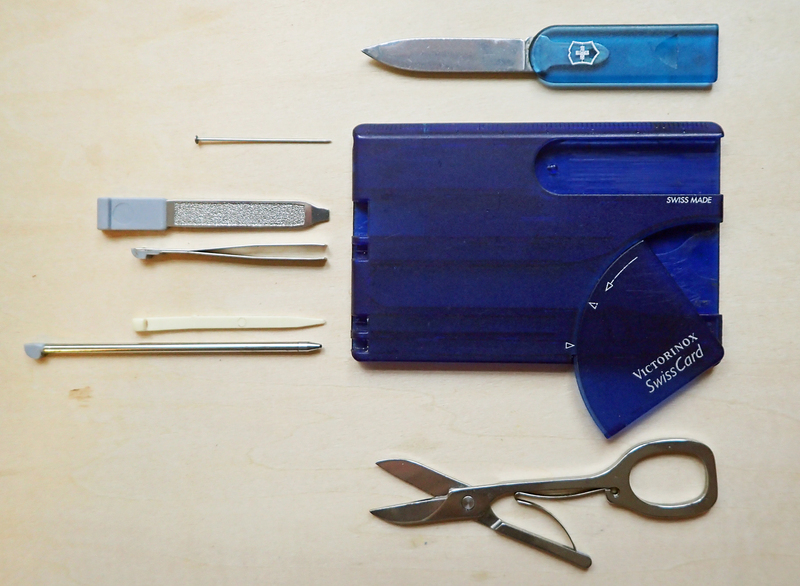 The first SwissCard appeared on the market in 1997 and while the small range of tools largely remained unchanged, small details in the plastic holder construction were later altered to make it more robust. 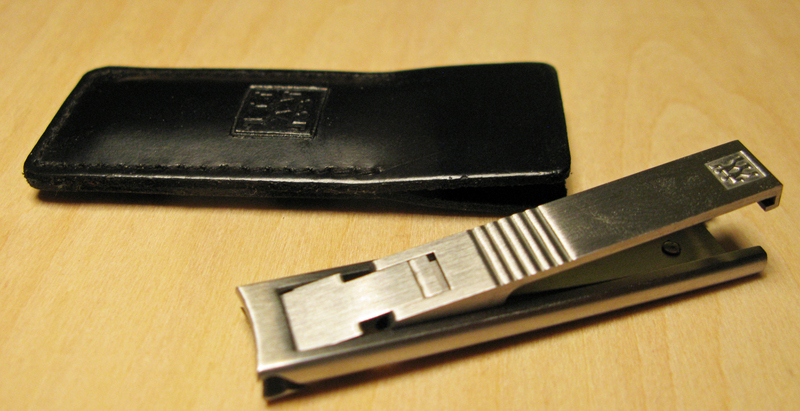 A rotating sliding lid over the scissors was eventually excluded in 2008 but not before a protractor had been added to the rear of the lid in the second generation of SwissCard. The first two generations of the SwissCard weighed 26.2g, this weight increased imperceptibly to 27g when the sliding door was excluded from the design with the third generation. 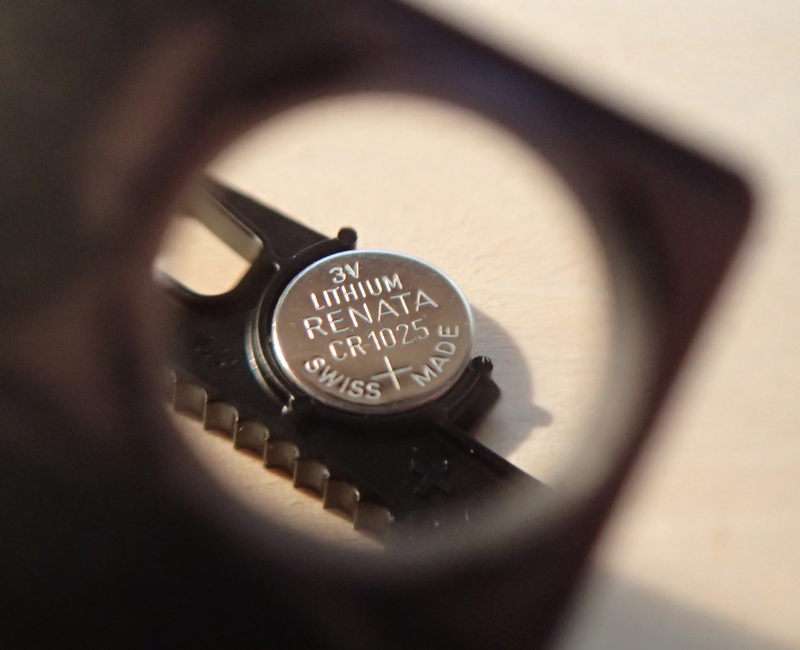 This meant that the protractor on the second generation was now also removed as a result. While the protractor on the second generation SwissCards could possibly be used for measuring snow slope angle, and the likelihood of avalanche, I really can’t see this being carried out in reality. The third generation of the plastic case is much sturdier and robust as a result of the change. The 27g SwissCard Classic is a simple tool that carries much of the toolset found in the little 58mm Victorinox Classic folding knife. That is- small blade, nailfile, scissors, tweezers and toothpick. 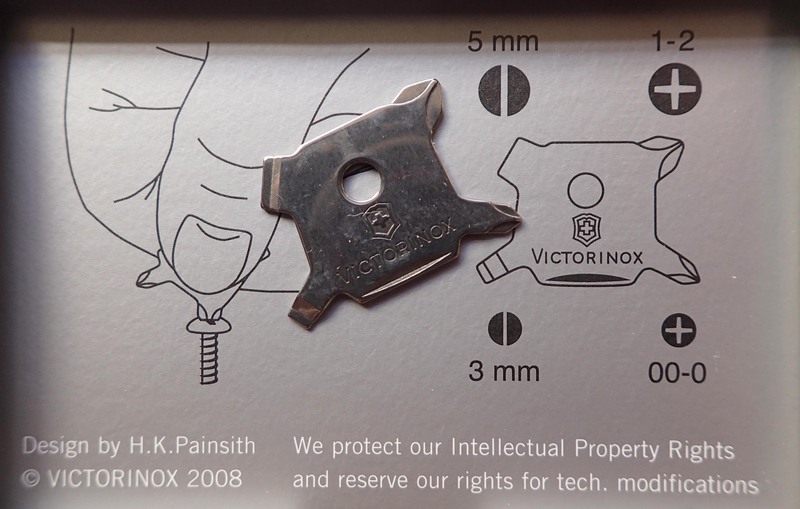 The SD version of the Classic knife has a small flat screwdriver tip on its nailfile and this is what is also found in the SwissCard. In addition, there is a stainless steel pin and useful, if miniscule, pressurised ballpoint pen in the SwissCard. The 22.2g SwissCard Quattro was released in 2000 and this saw the handy little four-way Quattro screwdriver made available for the first time. This is so small and convenient that even if I am not carrying one of the cards with me while hiking, one of the 2.6g screwdrivers is often sitting in my ditty bag. Sadly, the inclusion of the screwdriver was at the expense of the scissors, which are excluded from the SwissCard Quattro. A hole was added to the corner of the card enabling it to be hung from a keyring or lanyard. In 2003 a small LED light was incorporated and the 26.7g SwissCard Lite appeared on the market. Essentially, other than differences in case colour, there are two variants of the Lite- early models had a red LED, these were changed to a white LED in 2009. While the white LED is far brighter than the red and ideal for urban use, Three Points of the Compass feels that red is often more useful on trail, especially if stumbling around a crowded hostel or bunkhouse room and trying not to disturb slumbering occupants. First generation of SwissCard Lite with red LED, card case in translucent red. A hiker normally carries a primary white light headtorch or similar, however a small red LED can be useful at times for discreetness. Early models with the red LED can be difficult to find now but are still available through eBay etc. if now over-priced. Though it must be admitted, the red LED is very dim whereas the white variant is far brighter, but still no where near bright enough for night hiking or similar. 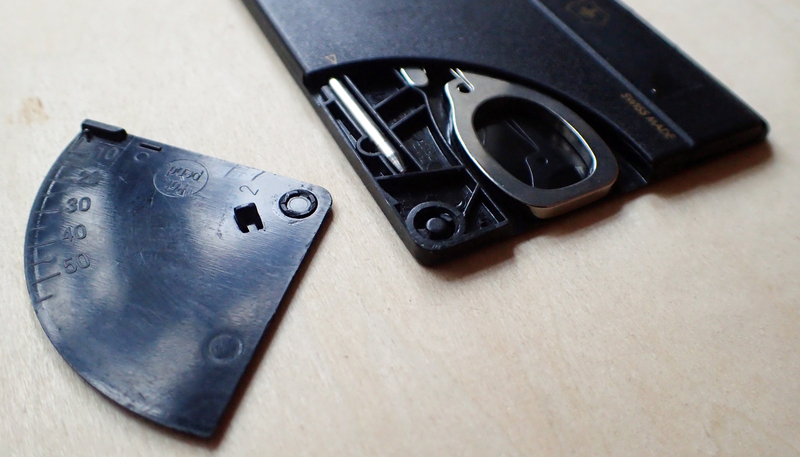 The SwissCard Lite hits the sweet spot by including both scissors and the handy little four-way screwdriver. Incorporating both of these at the expense of losing the nailfile is a reasonable trade off I feel. 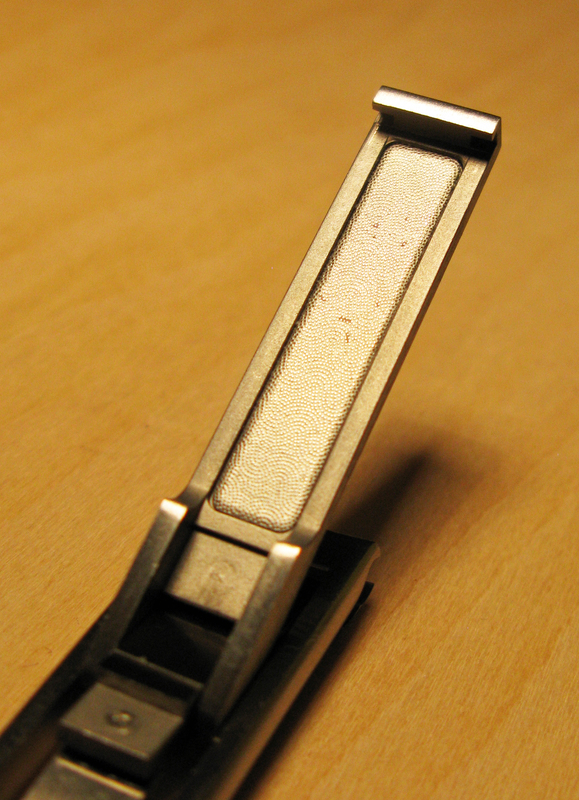 The LED switch is a rather clever and simple affair, being a removable slide that contains both LED and the battery. 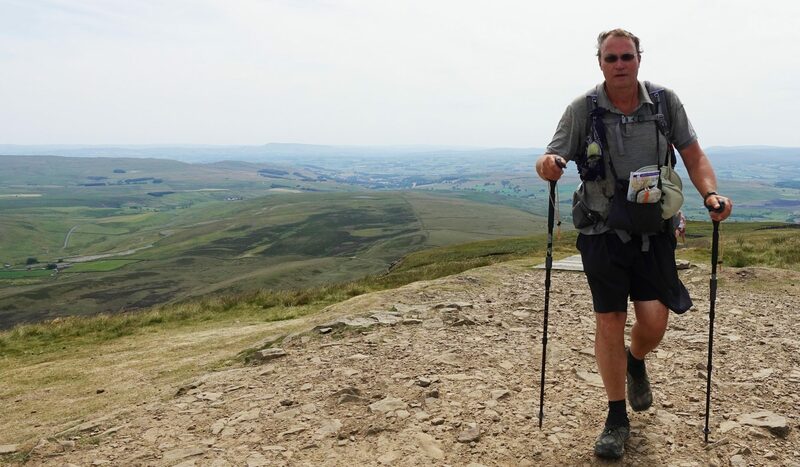 The drain from the modest LED means that battery life is considerable, though a spare battery could be carried on a particularly long multi-day hike. In 2015, the SwissCard Nailcare was released. 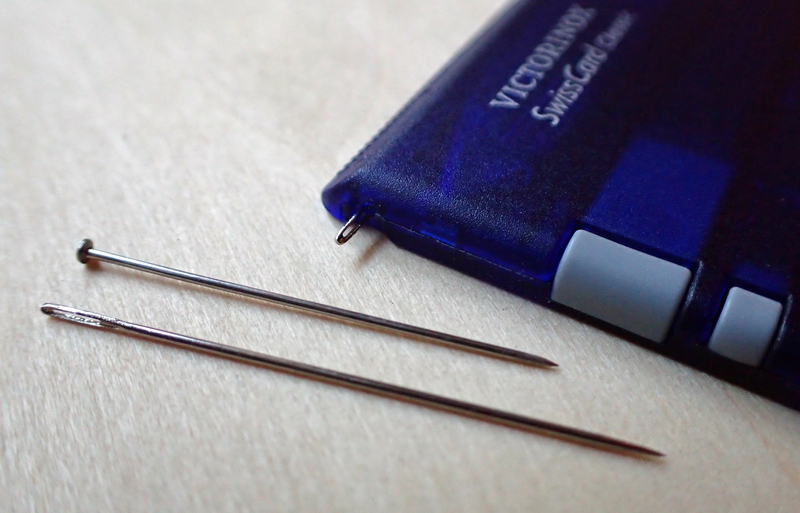 While both four-way screwdriver and scissors are incorporated, the little knife blade is replaced by a glass nailfile. As a result, I think the 26.6g Nailcare is the least useful of the SwissCards for taking on trail, unless personal grooming really is that important to you. Unfortunately the cutout for the nailfile is reduced in the nailcare card, otherwise the nailfile could have been swapped for a knife from another card. SwissCards were manufactured in a range of solid and translucent/transparent colours only some of which are shown here. Ice Blue (shown here) was only available with the Nailcare. 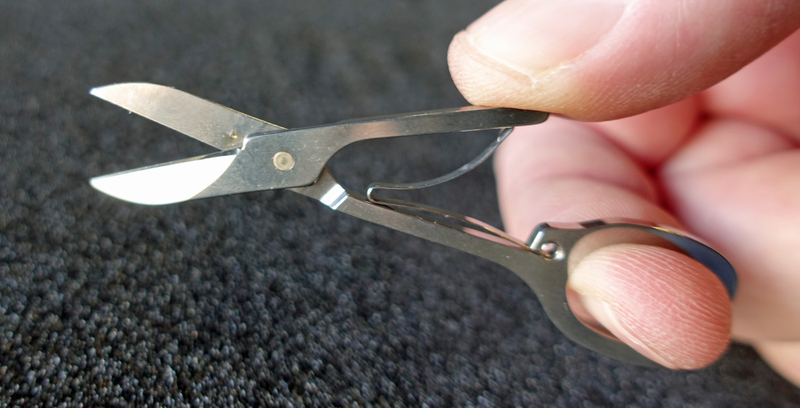 The pin and small tweezers are useful for removing splinters and as with the other incarnations, the spring loaded scissors do a good job, though I find my digits a tad large for the small single finger hole so frequently simply grip the whole of the scissor in my hand when using. I normally carry a small knife or multi-tool on trail, however it is probably time that I gave these little cards more attention. They include many of the items that I already carry but could remove from my gear list- scissors, blade, pen, tweezers, and depending on which variant is taken, could provide a couple of other useful items. Three Points of the Compass feels that of all the available SwissCards, a SwissCard Lite is the most suited for backpacking. As to the choice of colour of LED, that is up to you but the earlier red LEDs are becoming pretty difficult to source these days. This entry was posted in Gear, knife, Uncategorized and tagged backpacking, first aid, gear, knife, knives, nail, pen, SAK, scissors, small stuff, swiss army knife, SwissCard, Victorinox on January 28, 2019 by Jools. OK, puns aside. 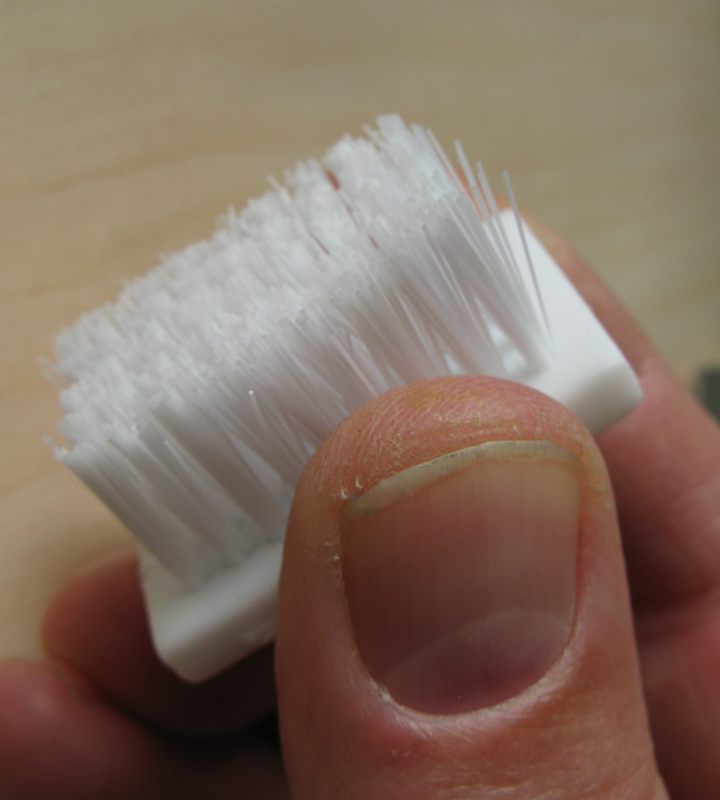 Carrying a nail brush on a backpacking excursion may be thought of as a touch fastidious. However, when attempting to clean up a pair of mud covered trousers or other clothing, or even crud encrusted fingers, a decent brush does prove its worth when attempting to preserve both hygiene and a more presentable appearance. 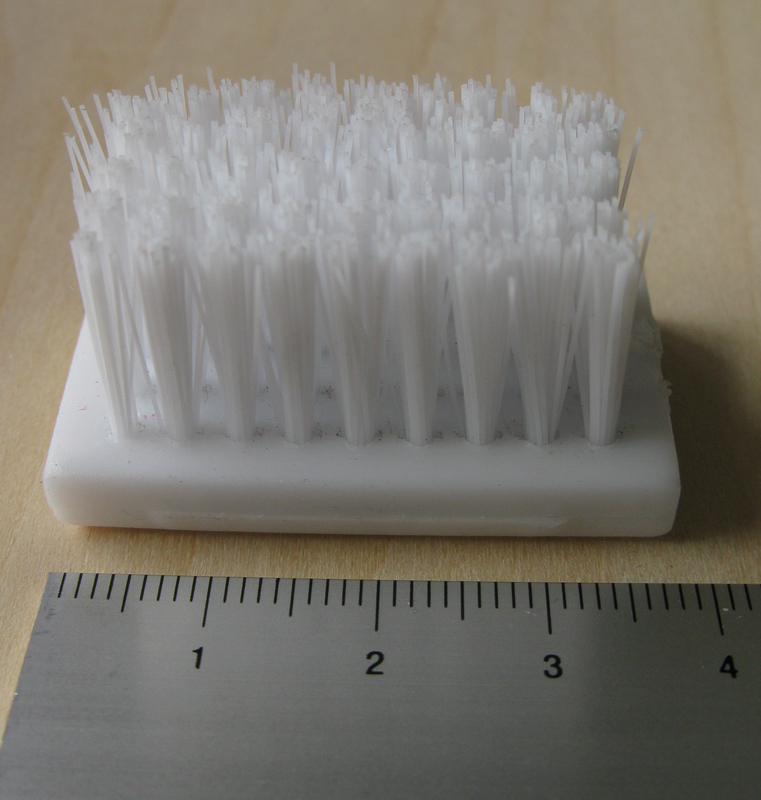 For some years now I have included a small plastic nail brush in my ‘ditty bag’. It originally had a handle but I sawed that off to reduce weight and bulk just a touch. It now weighs 32g and works a treat. But 32g! I was convinced that I could do better than that. Wandering around Tiger, an expanding chain of shops in the UK that started life as a Danish pound shop, I came across something amongst the middle-class nic-nacs on offer that may do the trick. 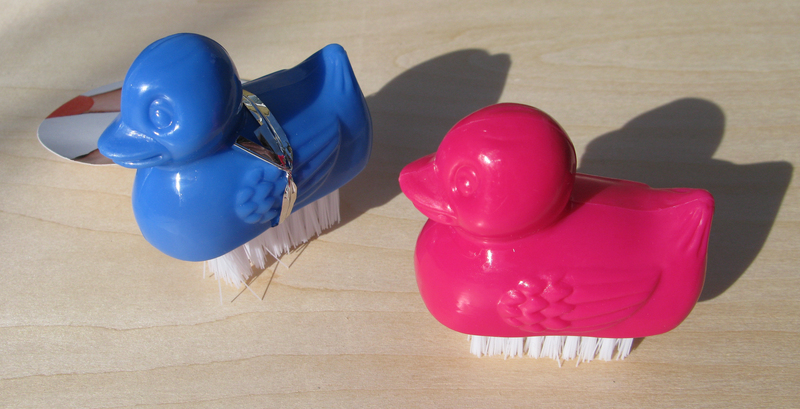 The little plastic ducks with a small brush set into the base retailed at two for £1, so easily worth a punt. Each brush is made in China (no surprise there) and weighs 19g so an immediate improvement on my previous offering. But I was convinced that I could reduce this weight still further. Together with a small dropper bottle of Dr. Bronners liquid soap concentrate, this should keep clothes cleaner, together with a cleaner me. This entry was posted in Gear and tagged gear, hygiene, nail on April 12, 2015 by Jools.